It’s actually not as big as it sounds, but you should reserve all day for this in case it gets too muddy in the forest. As is often with other things in life too, the hardest is to start. The starting point is at the corner of the main road and the small street on the right side of the Mézelieu Creek (in French Ruisseau de Mézelieu). It’s basically the first alley on your left when walking from the post office towards Bélesta. The road soon turns into a track which goes steadily up. After about an hour you come to a crossroad. 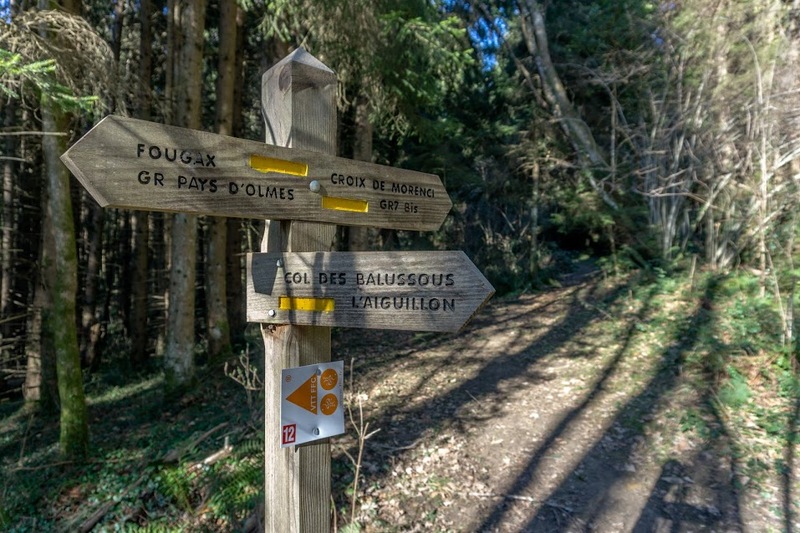 Turn left and follow the marked route toward Croix de Morenci. Morenci is a super lovely mountain tiny settlement with tremendous views around. I always wonder what sort of applications or forms I have to fill in to live at a place like this? From the Croix, follow the same direction and after a half hour you’ll get to Les Moureux. Once you get out of the forest, you can clearly see the monumental Montségur Castle (Château de Montségur). After Les Moureux the track goes through a paddock for about a mile so make sure you keep the gates shut. When you pass the second gate, it’s just about fifteen minutes up to the castle car park. From there you can either go up to check the castle out, or follow wooden arrows down to village Montségur. You can find a few cafes and restaurants there which are just so lovely in a way that only French countryside cafes can be. 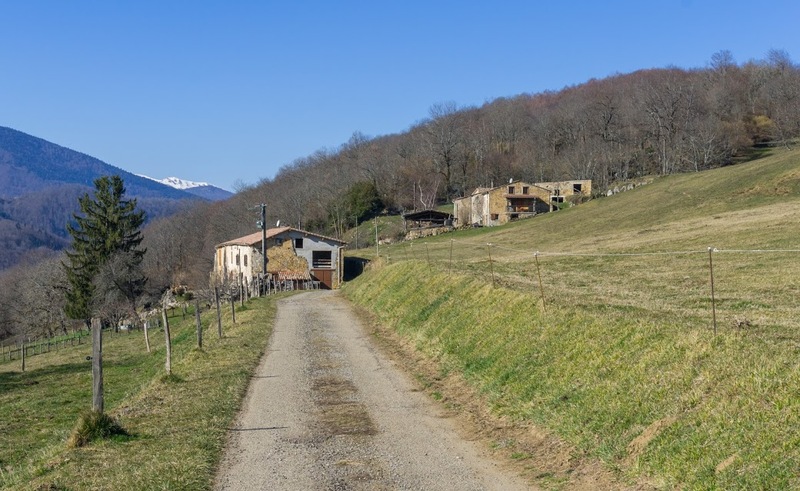 From the village follow the red marked route called Chemin des Bonshommes (lit. 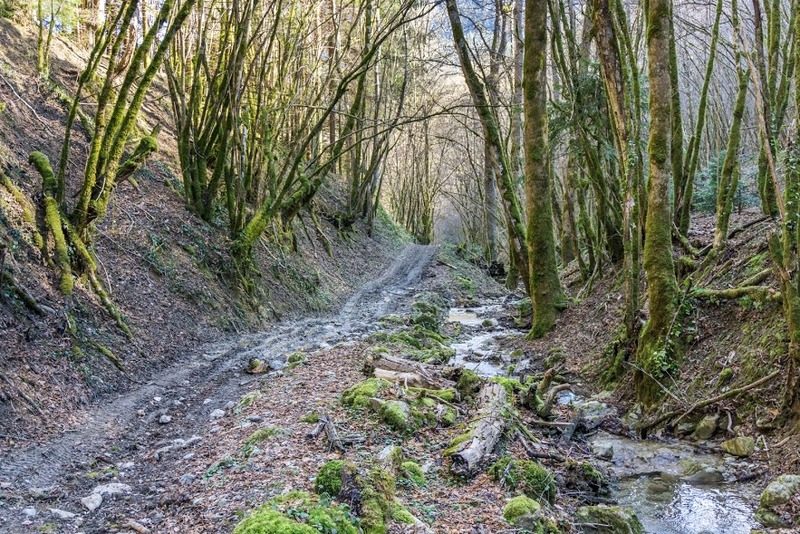 “Path of the Good Christians” which is how the Cathars used to call themselves) to Pelall. In this part, the track goes through the dense forest and it’s quite wet but that’s all good because the more water, the more green stuff around to admire. After passing a few houses which form the small settlement, Pelall, you’ll hit a road. Simply turn left and after less than an hour you end up back in Fougax-et-Barrineuf. 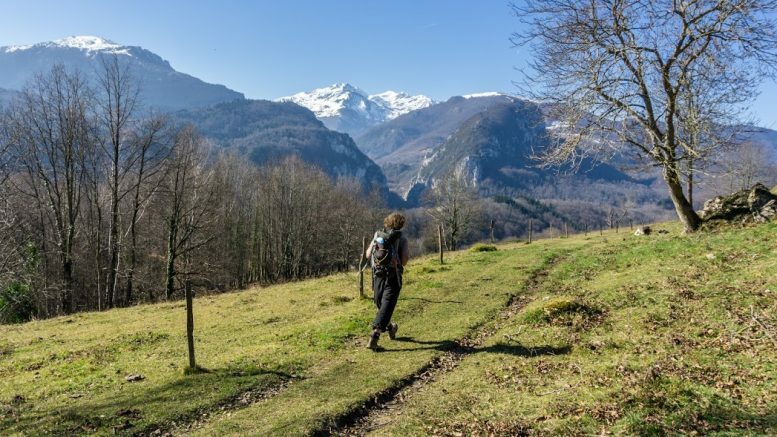 It’s a great hike and it’s a must for every hiker who arrives to Fougax et Barrineuf! 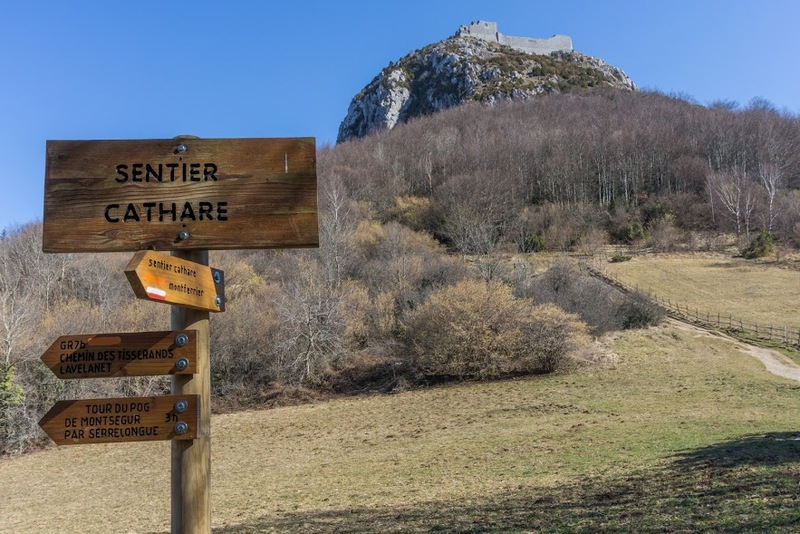 2 Comments on "Fougax et Barrineuf – Montségur big loop hike"
Just the names of the places themselves sound like the nicest places in the world!